This post may contain affiliate links, see my Disclaimer Policy for more information. Whether you are a stay at home mom or just looking to make extra money, making money at home is easier than you think. 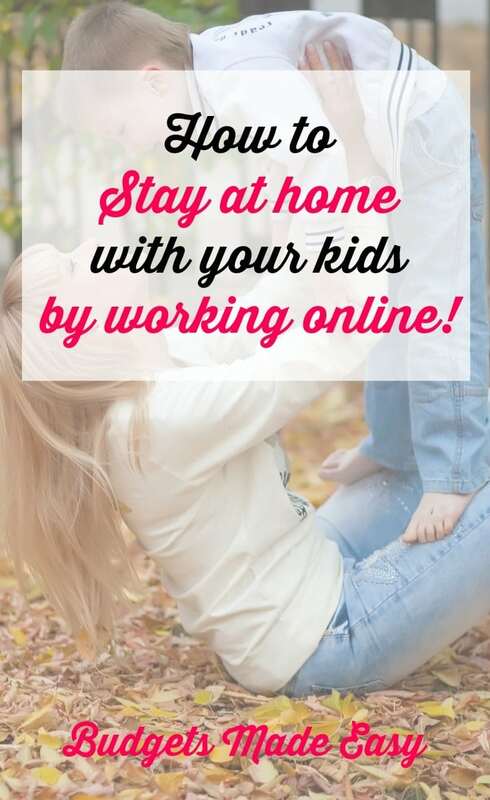 Do you wish you could stay home with your kids but need some extra money to do so? I have the solutions for you! I have recently decided to stay home with my children and have been looking for ways to bring in some extra money. 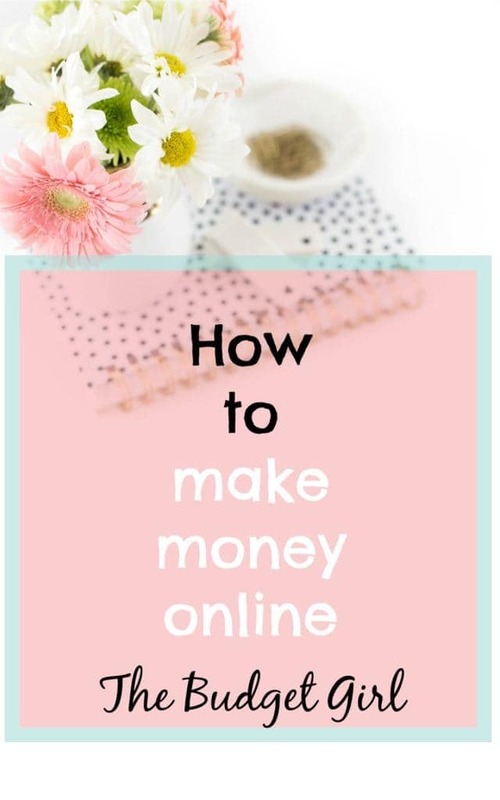 These are ways of how to make money online! I have always been leery of “making money from home” posts. I always have been scared that it would be some type of scam. Which there are some that are, so that should always be on your radar. You should never reship packages for someone. You should also never send anyone money for a job. Just use some common sense and if it seems to good to be true it probably is. Here some ways that I am making money from home online. Yes, you can make money blogging. It is fairly easy once you get things going and you can make a lot of “passive” income from it. That means you can make a post that has affiliate links and keep making money from it for months or years afterward. This takes time to learn and build your audience. This is not an overnight money-making scheme. However, there is the potential to make at least a full-time income or even more! The blogger that inspired me to start my blog made over 1 MILLION dollars last year! She is on track to make even more this year. So, how do you start a blog? You do have to pay for hosting service in order to make money from your website. You can start a free website but you do not have control over the website when it is free. In order to have full control and be able to qualify for affiliates, you have to be self-hosted. The hosting service that I use is Bluehost. I was able to get a great deal when I signed up. The usually price is around $3.95/month but I have seen as low as $2.65/month. They also provide WordPress for free with the service. This is super easy to set up even for someone who is not “techy” like me. I was able to get my website up and running in a weekend. There are lots of free themes on WordPress or you can find a cheap one on Etsy. I only paid $10 for my first theme on Etsy and I used it for almost 2 years. You do not have to invest a ton of money to start a blog or website. 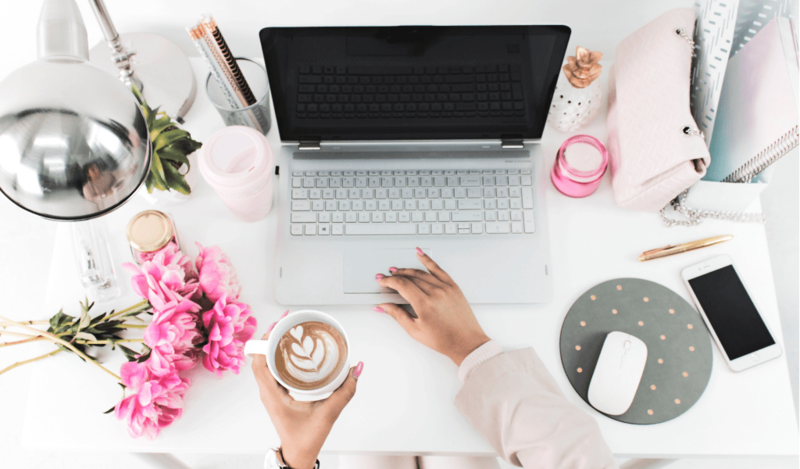 So, how do you make money blogging? You can make money blogging several different ways. It is important to have several income sources from blogging so that if something happens to one, you still have money coming in. The fastest way people make money blogging is through affiliate links. This means that I have a unique tracking link that I put into a post that takes you to a products page. The link has my identifying information but takes you to the main page. There are affiliate programs for just about anything you can think. The biggest one is Amazon. However, Amazon can cancel you at anytime for any violations they think you committed. They will also not pay you money that you have in your account if that happens. Despite that, Amazon is easy to use and everyone is familiar with their site. The way it works is that when someone clicks on your link and then buys something with a specified period of time, you get credit for it. The credit depends on the item purchased. They do not have to buy whatever your link was to. There are other affiliates that you make more money from. The majority of those are other bloggers. So, you take a course that you love, promote it for the other bloggers, and you get paid for the sales! My favorite and most beneficial classes I have taken are Elite Blog Academy, Facebook Page Strategies, and Stupid Simple SEO. These are the only courses that you should spend money on when you are new. This will cover everything to get you started and on the right track. I can’t tell you how much time and money I wasted on courses that were useless. These courses are worth the money to get started. Elite Blog Academy (EBA) is the framework for building your blog into a business. It is the foundation that everything is built upon. It will help you get started, refine your message, sell a product, and so much more. You can sign up for the wait list to be notified when it opens again. It is only open once a year for one week! Facebook Page Strategies is a very in-depth course on growing your business through Facebook. What I love about this course is that Rachel shares so much information about growing any business with Facebook. 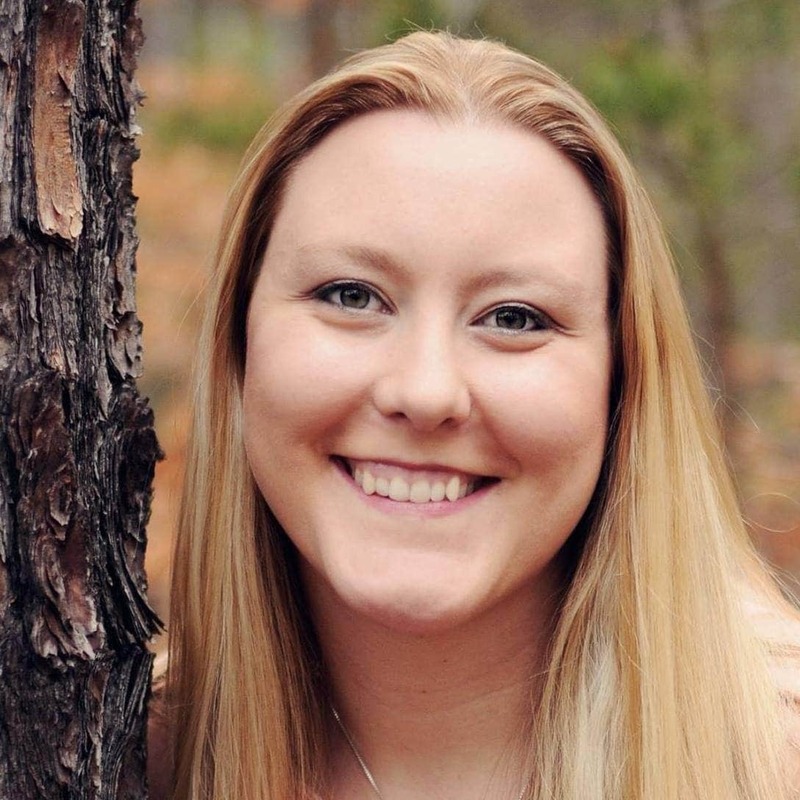 Plus in her Facebook groups, she shares so many easy online and passive ways to make money. Things I had never even heard of before she talked about it! Stupid Simple SEO is the BEST SEO course you can take, hands down. I can’t recommend it enough. I spent so much time on the internet trying to get a small grasp of what SEO even was before I found this course. He explains things so well that it is literally stupid simple. The Facebook group that comes with the course is alone is worth the cost of the course. I am still learning so much every day from the members in the group. If you can only pick one or two courses, do Stupid Simple SEO, then EBA, then Facebook Strategies. Facebook Strategies is very good and in-depth but you really need to use her ad strategy to really gain traction, so there is another cost there. You don’t have to but you may not see the traction without it. 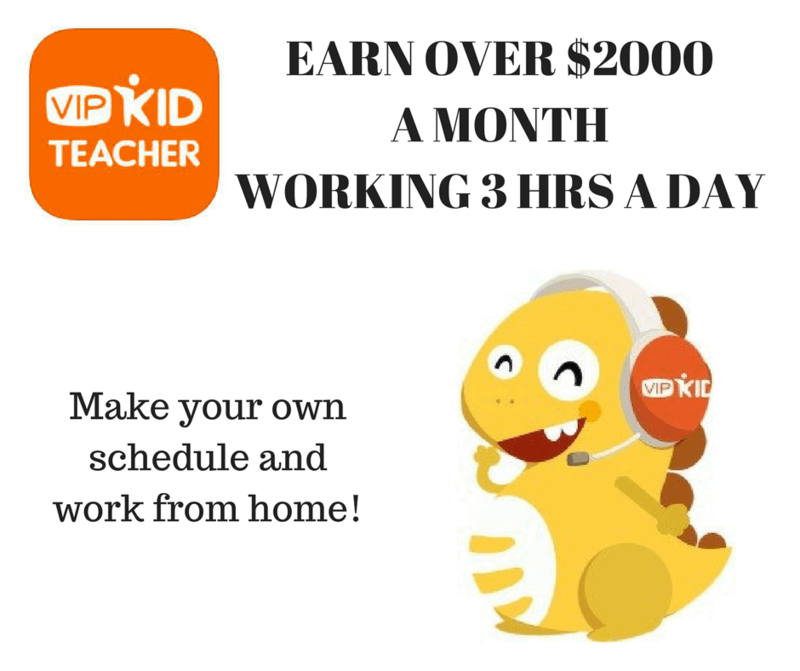 I started teaching online with VIPKIDS and I LOVE it! You do have to have a degree to work for them. It’s great because I get to make my own schedule and it’s easy. They do everything for you, you just teach the lesson. There are also great Facebook groups to help you be a better teacher. VIPKIDS is a company in China where we teach Chinese kids English as a second language. I teach the older kids for now so they already have a basis of knowledge. I get to converse with them and it makes it fun. I have my dining room set up as my classroom and it works so far. *You have to have a bachelor’s degree to teach with them. These are the basic things you will need to start and get through the interview process. I used my phone headset for the interview process because I didn’t want to spend money until I was hired. Everything else I bought I could give to my kids if it didn’t workout. I also have bought lots of props and rewards at the Dollar Tree. They have a lot of educational props and rewards. sheets to make your props for each lesson. Trust me, it will make things easier to laminate. You will also need some kind storage solution. This is what I have and it has been so nice to store all the props and rewards for the different levels of students. This kind of job is great because you really don’t need a lot of money to get started. You get paid once a month and I have not had any issues getting paid. If you use my referral link to apply, I will help you through the process. Just send me an email at [email protected] with any questions you may have! You can also take surveys online. It isn’t a lot of money but every little bit helps! One company is Survey Junkie. You do have to apply and be accepted to start. They then send you surveys to complete. With Swagbucks, there are a number of ways you can make money. You can shop online, watch videos, answer surveys, and surf the web. The app gives you both cash back and gift cards as a reward for your efforts. There are several other apps that you can use to make money like Swagbucks. There are many jobs that you can do from home that can actually save a business money. They don’t have to pay for office space, training, sick or vacation time, benefits, and other costs associated with hiring a full-time employee. You can find virtual assistant jobs on LinkedIn, Facebook groups, and Indeed. I have a storefront through Customizedgirl.com and Amazon. 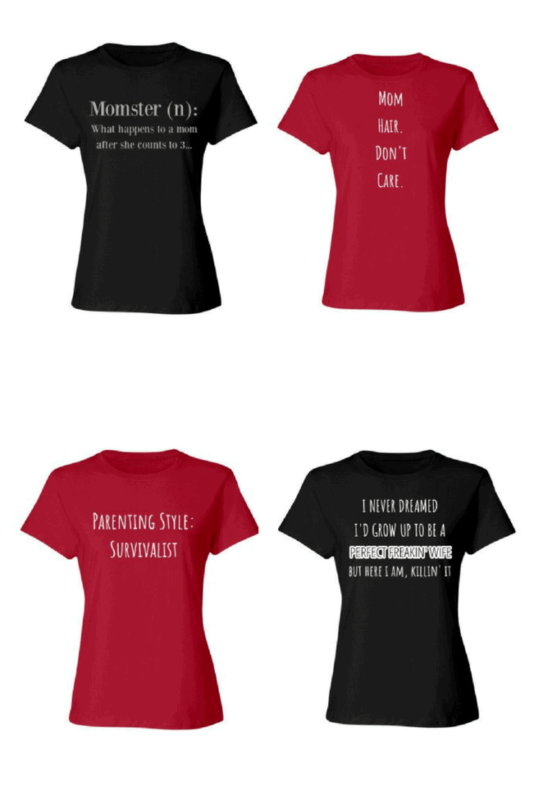 What is nice about Customized Girl is that the customer can fully customize the shirts. There are other sites as well. You can design and sell t-shirts through Amazon Merchant. The approval process can take 60 days though. Whether you’re a stay-at-home mom, someone ready to leave the corporate world (and the commute) behind, a recent graduate, or even a parent whose kids are grown, working from home is a viable option. Sure, there are scams out there, but there are far more legitimate opportunities than you might imagine and this bundle will help you find and identify the best ones. All of these things you can do from home and with kids. It’s nice to have some side income coming in to help save money or pay bills. What some ways that you earn money from home? Hi, I am Ashley and I am here to teach you how to budget, save money, and pay off debt with simple and easy to implement tips. I was able to pay off $45,000 in 17 months including $25,000 in student loans in just 10 months. I am now a Ramsey Solutions Master Financial Coach and help people like you manage their budgets so they can live the life they want. I also have a degree in psychology and help you get to the root of your money problems. I have also written two ebooks to help save you money and how to budget for beginners. « 5 Saving Money Tips You Have To Try Today! Great post! i’m on some survey sites and sell stuff! I make most of my money through affiliates and sponsored posts and have been able to make blogging my full time job. 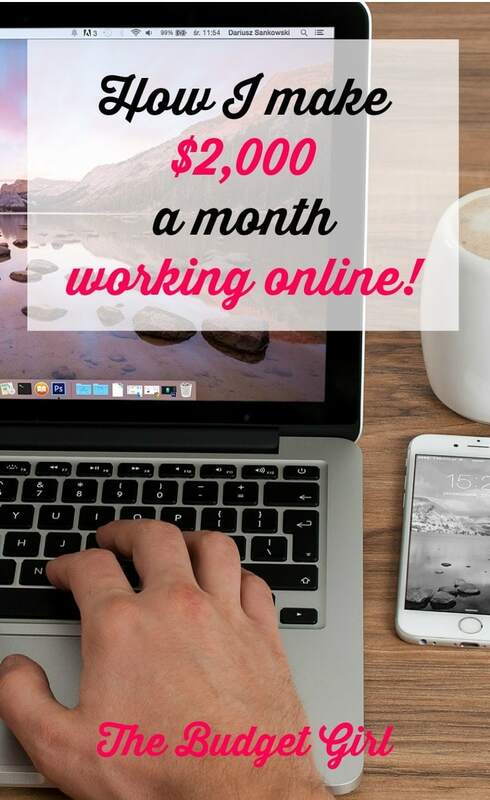 Great ideas for someone looking to make side income or side hustle while blogging! Great ideas for people looking to earn money online! I would also recommend freelance websites like fiverr and upwork ! And it takes ages to earn money by blogging, its such a big commitment! If one puts the effort in there are many ways to earn money that are fun and fruitful. Lots of great ideas here! Thanks! Love the range of ideas here! The t-shirt shop idea is new to me and sounds really neat! I have definitely thought about working for VIPKID when my two toddlers are a little older. Thanks for sharing everything you will need to get started with that job. My side gig right now is working on a few projects with Appen, which is a company I highly recommend for work from home jobs, especially for stay at home moms. These are some great ideas! I’m always looking for a good side-hustle!